Now you can get a pet monkey on SecretBuilders! 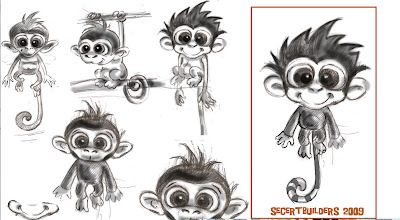 Here is the artist's sketch of the monkey. To see what the monkey actually looks like you'll have to get one and wait till it hatches. It's sure to be the coolest pet on the planet. Hope you have enough bananas!